Ask any HR professional to name a company they admire and you’ll likely hear the name Pepsi. Long known for its leadership in quality HR practices, it comes as no surprise to us that the Pepsi organization was among the targets of the EEOC’s more aggressive stance concerning the use of employment criminal records. Employers with “unnecessarily broad criminal background check policies” are wise to heed the warning laid out by the EEOC’s recent $3.1 million settlement with Pepsi Beverages. As reported by the Associated Press*, Pepsi was charged with racial discrimination for using criminal background checks to screen out job applicants, even if those applicants were not convicted of a crime. According to the EEOC, using arrest and conviction records to deny employment can be illegal if it is not clearly job related. That’s because blanket criminal records policies can limit job opportunities for minorities who have disproportionately higher arrest and conviction rates than whites. While Pepsi maintains that it did not intentionally discriminate (in our experience, most companies — and especially those the likes of Pepsi — do not set out to discriminate), the settlement sends a clear reminder to employers of all sizes about the need to reassess policies and ensure compliance with anti-discrimination laws. So, What Should Your Employment Criminal Records Policy Look Like? Know the difference between ‘arrests’ and ‘convictions.’ Don’t assume that someone committed a crime based solely on an arrest record. It’s the convictions that tell the outcome of the arrest. Don’t jump to conclusions. Give your applicants a chance to explain the circumstances of an arrest. Keep things in perspective. Take into account the nature and seriousness of the arrest or conviction, as well as how long ago it happened. Consider the nature of the job and the risk an individual will present with a given criminal record. Deny employment only if it appears the applicant can’t be trusted to perform the job. 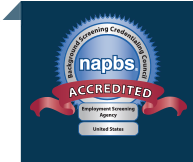 Have questions about your employment screening program? The team at Proforma Screening Solutions is here to help. Ask a question or request a free initial consultation to discuss your program.